Iyama extends lead in Honinbo title match: The second game of the 72nd Honinbo title match was held at the Kumagai Family Residence in Oda City, Shimane Prefecture, on May 23 and 24. This residence is a large house that belonged to a prominent merchant family in the Edo period; it has been listed as a World Heritage Site and is now a tourist attraction. In the go world, Oda is known as the birthplace of Honinbo Dosaku. Taking black, Iyama Yuta (Honinbo Monyu) won by resignation after 110 moves. As the low number of moves would indicate, this was a one-sided win for the titleholder. Actually the challenger, Motoki Katsuya, did not make major blunders, but Iyama was able to exploit small chinks in his armor to take a firm grip upon the game. This may be more worrying for the loser than losing through an easily identified mistake. Motoki has some work to do before the third game, scheduled for June 8 & 9. To 3-dan: O Keii (40 wins, as of May 26). O is the daughter of former Kisei O Rissei. 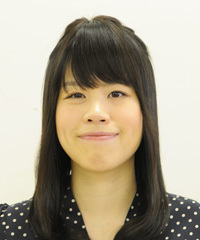 She is a member of the Central Japan (Nagoya) branch of the Nihon Ki-in. Brilliant shogi newcomer: A brilliant new shogi star, Fujii Sota, has been gaining attention outside the shogi media and may be of interest to go fans. In shogi, you do not become a full-fledged professional until you earn promotion to 4-dan. Fujii qualified for 4-dan about five months ago at the age of 14, which set a new youth record. Since then, he has not lost a game and is now sitting on a winning streak of 19. That includes wins over some strong players, such as Habu 9P, who is the only player to achieve a simultaneous grand slam of the top seven shogi titles. Nineteen successive wins is already the seventh-best winning streak in shogi. There is no comparable achievement in go (of course, 1-dans are fully qualified professionals in go, so it would be hard for a go debutant to match Fujii). Shogi enjoys greater popularity in Japan than go, and Fujii’s success has created quite a stir in the media. Fifty members of the press turned up to report on the game that became his 19th win, on May 25. It was significant, because he qualified for the main section of the Ryuo tournament. Seven more wins in this tournament and he would become the challenger. Some observers have commented that in strength he is already one of the top ten.